Let it be known: I never thought myself a Las Vegas kinda gal. In fact, the thought of the desert alone makes me melt into a little fair skinned puddle of SPF. Heat and I aren’t exactly friends, which is funny seeing I don’t own an Air Conditioner and my last three weekend getaways have been in the hot sands of the West Coast. Perhaps I’m changing my tune. Perhaps it’s time for us to go off the strip and discover there’s more to Vegas than cabaret shows and slot machines. 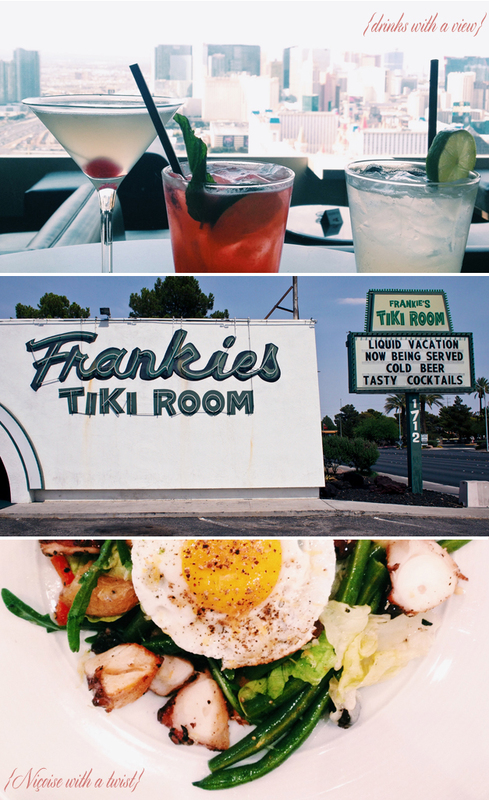 Surprisingly there is lots more and I was lucky enough to go on an adventure for Refinery29 recently to figure out what’s what when it comes to the atypical Vegas weekend jaunt. 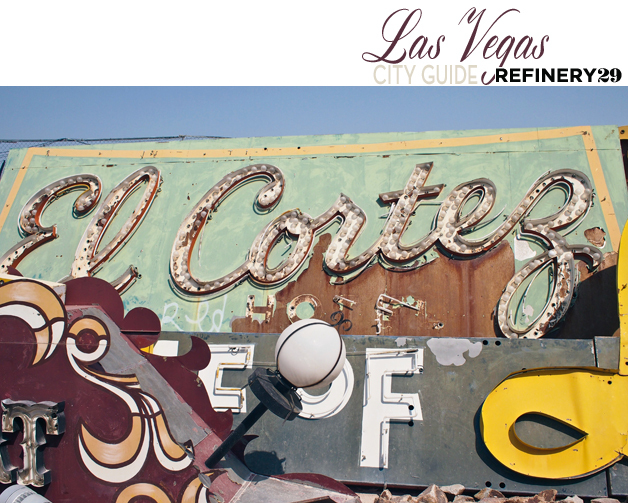 But make sure to check out all 14 of my city picks over on R29 and shake up your next Vegas Venture. If there are two things I love most, it’s old city history and typography. 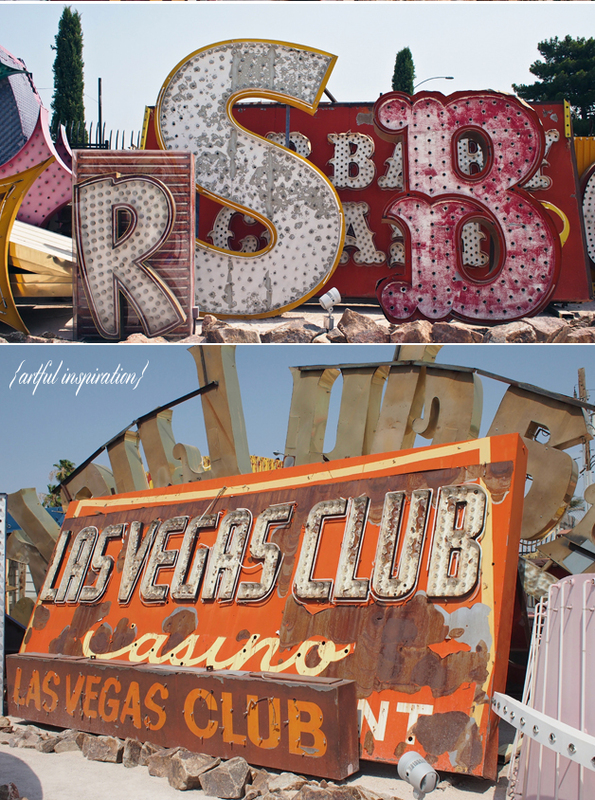 The Las Vegas Neon Museum is a must for all types of travelers. The collection is large, beautifully curated and chock full of great stories. My only advice is to book the earliest tour possible, because even at 9am 115 degrees feels no bueno. Even when I’m not working, I think I eat 4+ meals a day while on vacation. There is nothing better than exploring new places, experiencing new chefs and having any and all excuse to wear sweat pants for a week straight after your trip. Truths…sad truths. I like to try a variety of places when I travel. The high end, the local joint and the down right ridiculous. What other city could offer you expansive areal views while sipping Michael Jackson themed cocktails, a surprising farm-to -table suburban retreat away from the chaos of the crowds and trying your luck at 1960s slot machine with a authentic Tiki drink in hand? Vegas, Baby. Only in Vegas. If nearly smuggling home a hedgehog wasn’t random enough. How about a pocket full of quarters and a warehouse full of restored vintage pin ball machines? Or coming across the abandoned Liberace Museum with it’s musical walls made of tile? I say Yes please, more please! I discovered sides of Las Vegas that surprised and intrigued me in a way that no other bachelor weekend or show choir school trip could ever accomplish. There is travel guide Vegas and there is anti-Vegas Vegas. …Like where we took up residency for the weekend. There is no shortage of gorgeous resort hotels in this town, but they can be of the mechanical dinging, umbrella-less poolside kind of overcrowded headache varietals. 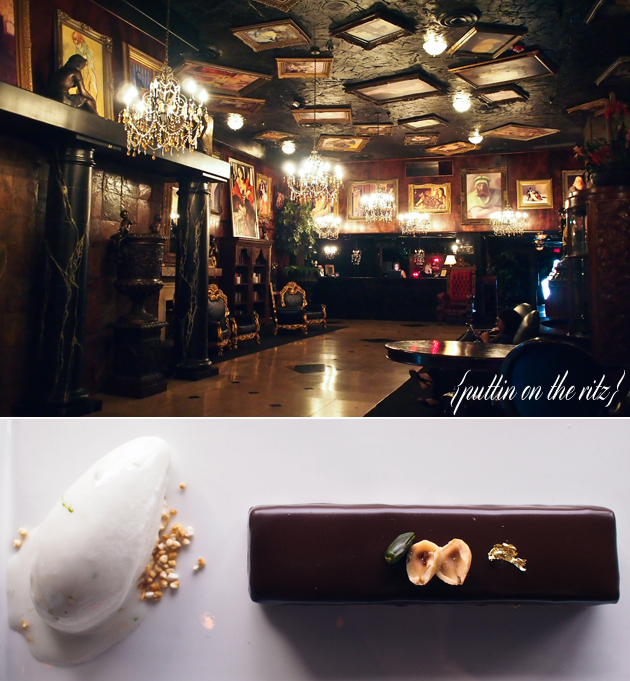 If you’re looking for something a little more quirky and away from the craze there are quite a few boutique options popping up off the strip. I opted for the Artisan Hotel, which was dark, moody, totally kitsched out with coats of armor and oil paintings hung from every possible surface. It was wacky and I loved it. Bonus: not a slot machine in sight. Jackpot! Speaking of dark and moody – here’s some advice: never pass down the house made candy bar for dessert. Vegas, we’ve only met 3 or 4 times in our lives, but thank you for finally bringing on the charm. I appreciate you and your weirdness. I also appreciate that you have other things to offer when I need to run away from your madness. Thank you for keeping everyone on their toes for all these years. Also – thank you for turning my 1 dollar into 23 and letting me call it a day. Looking for more Southern California weekend getaway ideas? 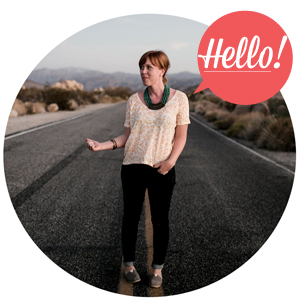 Check out my city guides for San Diego & The budding little LA neighborhood of Atwater Village!